I made a new thing! Here’s how you can help. I’m going to ask you for help. I hate “bothering people” and even writing this kind of makes me cringe. But at the same time I feel myself opening up, like I'm allowing for more care, appreciation, love, and goodness to come in. I've never seen anyone do this in this way, and I guess that's the reason why I decided to do it—because I want this to be “normal”. I want it to be easier for creative people to ask for the help they need. Kind of like Amanda Palmer describes it in her glorious talk and book that I wish I've read, but didn't get around to yet. So what do I need help with? In case you still haven't seen one of my dozen announcements, I wrote and self-published a book called The Human Centered Brand, which is coming out on July 30th 2018. I've been working on this book for 18 months (just the book—I've been creating this body of work for much longer than that), so you can imagine it's a pretty big deal for me. Like, possibly the biggest deal since starting my own business. I want this book to make an impact. I want to get it into the hands of the people who need to hear this message. If I allow myself to say what I really want, I want this book to become a classic. I want people to give it as a gift to their friends saying: “This is THE book you need to read when you're starting a creative business.“ When someone complains about horrible clients, I want people to come up to them and say “You need to read this.” When a business owner is confused about all the logo, business cards, and website stuff, I want them to dig into this and come out feeling empowered and capable of doing informed decisions. I know it has the potential to change how people think about business relationships and design, and teach them how to be happier and more at ease in their business. My own reach is very limited, and if I was the only one talking about this book (given that I'm the author and of course I'll say nice things about it), not a lot of people would read it. Every new person who mentions this book in one way or another is multiplying its reach. Everyone who writes a positive review is confirming that this book is what I say it is, and not some crap in a nice package. Every new person contributes to the impact of this message. This is the time when I call in my favors. If I ever helped you in any way—answered a question that was bugging you, wrote an article that made you feel better or solved your problem, gave you advice that worked well for you, designed something for you for free, etc.—and you wanted to help me back in some way but you didn't know how, now is your chance. You don't have to help, of course. I don't want to pressure anyone. I'm writing this because I sometimes get asked: “Hey you did this really nice thing for me and I want to pay you back, but I can't actually pay you, so what else can I do?” It's really clear from my perspective how people could help, but others don't necessarily see that. I want to make this easy as pie (eating it, not baking it, duh). Support their Patreon or crowdfunding campaign with small amounts. Feature them on your blog/podcast/portal (and link to their website of course). Share their content on social media. Forward their content to a specific person. All of these things help, and at times some may be more important than others. If someone is going through a rough patch in their personal life, those thank you letters can make their day and give them hope. At times when people are struggling financially, every tiny dollar counts—no amount is too small, so don't feel bad if you can only donate $1 per month to someone whose work you love. When they're trying to promote a new idea, product, event, service, etc. then things that help get the word out are the most valuable to them. Connections are important too because the single right connection can result in a project really taking off. I encourage you to help an artist, innovator, or business owner in your life in any way you can—today. I am so grateful to everyone who has been supporting me so far. I would not have come this far without you. I know many of you would have helped me promote this book even without me asking. (And some of you have already been doing that for months now!) I seriously love you folks, I hope you know that. Thank you. I know it's hard to recommend someone's work if they only offer services priced at four figure euros. So I made this new book a no brainer to recommend: priced at $25 (+VAT), and ebook being only $12 (+VAT) during preorders and launch. That shouldn't be too expensive even for someone living in Croatia. Here's a list of ten ideas. You can choose one, or several methods, depending on your comfort level. If you're not the target audience for this book, consider the methods that allow you to share with those who are. Potential readers who don't know anything about me might be skeptical. Is this book really worth the price? Why bet on a new author when there are so many others, backed by big publishing houses? Independent, honest reader reviews can make all the difference for someone who is undecided. I've bought books because of great reviews, and I've given up on buying a book because I realized based on the reviews that it's not for me. You can help someone else make a good decision. If you're a Goodreads user, you can also post your rating and review here. If you run a mastermind, book club, business incubator, school, creative agency, Facebook group, Meetup group, or other type of group program with a focus on business, marketing, design, or personal and professional development, consider sharing this book with your members. If you want to do a group reading, contact me and I'll provide a bulk book discount for your group. Bookstores and libraries across the world are able to stock my book on their shelves by ordering it from Ingram. 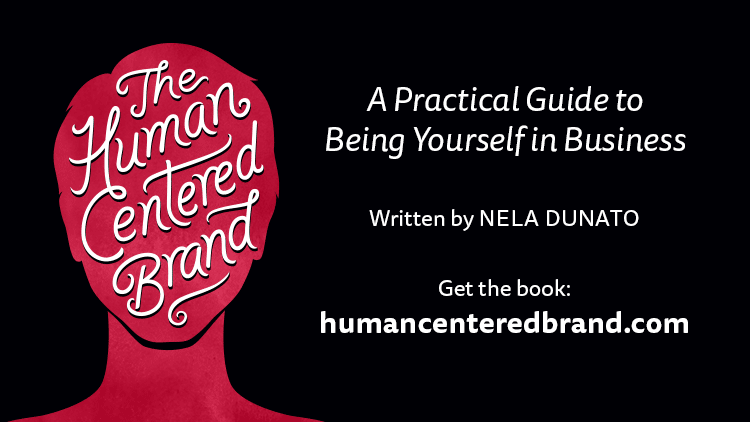 If you're a bookstore or a library patron, you can simply ask them if they have the book “The Human Centered Brand” by Nela Dunato (ISBN 9789534817117) and if they don't, to look it up in the Ingram catalog and consider ordering a couple of copies. Bookstores and libraries only order self-published books if people ask for them. They don't want to take chances with up-and-coming authors who don't have the backing of a reputable publishing house. Your voice matters. If you're a regular reader or a listener of a media publication (like a web portal, blog, magazine, radio show, podcast, video show, etc.) that talks about business, marketing, design, creativity, personal growth, etc. and would like me to appear there, consider messaging the host to ask them to interview me. My biography and high-res photos are available here. If you're a regular visitor of a tech, business, design, marketing, or professional conference (for private health professionals, lawyers, therapists, coaches, writers, etc. ), you can email the conference organizers and recommend speakers for next year. I speak at conferences regularly, and would be happy to travel as long as the organizer or a sponsor is paying for my expenses. I can speak at local indie events for free. This works best if you have actually read the book, because that way you'll be able to talk about what was most useful to you, and what you think your friend will get out of it. If you know of a small service based business owner or an artist who struggles with getting the kind of clients they want to work with, presenting their work online or in person, creating content that resonates with their audience, designing their own website, social media graphics, flyers, etc. this book can help them overcome those struggles. If during a conversation someone mentions some of the struggles this book addresses, you can just briefly mention you've read this book that talks about this very thing. No hard sales required, if they're interested they'll ask you for more info. Then you can tell them what the book is called or better yet write down the link humancenteredbrand.com and let them take it from there. I provide graphics and text snippets you can copy and customize to your liking. If you don't feel comfortable sharing my book if you haven't read it yet, you can share something you did read and found valuable instead. Is your logo sending the right message? 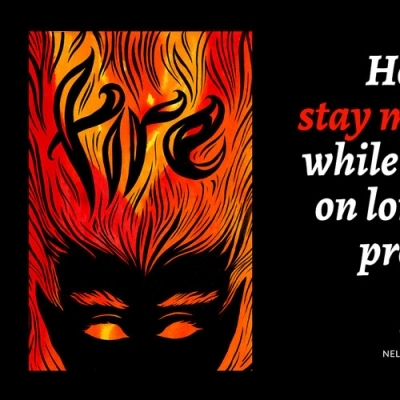 These articles provide an introduction to my branding philosophy, offer actionable tips, and feature a call to action for the book at the bottom so if the reader is interested in learning more, they can either a) buy the book, or b) keep reading the many (many!) free articles on this website. Last but not least... talk to me. Doing a public thing like this feels vulnerable, and sometimes I get overcome with self-criticism and constantly question myself. What really helped me grow greater confidence in this book is the wonderful words of my beta readers (some of which you can read here and here). Hearing from others how this book has changed their outlook, and how they have started to implement the things they've learned and seeing results helps me gather the strength and enthusiasm to keep doing this when things get tough. Only give as much as you’re inspired to give. No contribution is too small—I appreciate every single one. And even if you can't help now because you have things of your own going on, I get that. I won't think of you as any less of a friend if you take a pass. I hope that my act of public asking will encourage you to ask for what you need.